Feb. 11: What's Jen Clicking on Between Casts? I'll give you a hint ... it's not the latest on some police pursuit. I hate police pursuits. I always have. I know why TV stations broadcast them -- it's because people watch them. But I have never understood why people watch them. Maybe the O.J. Simpson pursuit started it, and it kicked off the original TV Reality Show that was the Simpson trial? I don't know. During that pursuit, I sat at a table in a restaurant waiting as everyone watched the pursuit from the bar. I would find out what happened on the news later, I figured, and in the meantime my food was getting cold. So I was really bummed out when I saw that KNBC was following the pursuit of the guy in that Bentley the other night. Our station has had a "no pursuit" policy in place for a few years, and it made all of us who work here proud. Our former General Manager Paula Madison was quoted in this 2005 Broadcasting & Cable story as being surprised at seeing so many pursuits on our air. "One of her first directives banned lengthy coverage of car chases." The story continues: "It stunned the newsroom. Car chases are one of the signatures of L.A. news. But Madison found them disruptive, and, she notes, most were news-free stories about petty thieves." There is very little that's more upsetting to a reporter, ready to present the story he or she has worked on all day, than to watch the entire newscast squandered away on some yahoo driving down the freeway running from the cops. So the other night when I saw our 11pm newscast devoted to this thing with the guy in the Bentley, I had a sinking feeling. Were we really covering this? And was this a predictor of what's coming? "It was a wasted newscast, and I feel terrible about that," he said. "It irritates my serious news watchers. I got a lot of unpleasant mail today, and I answered everybody to explain my thinking." 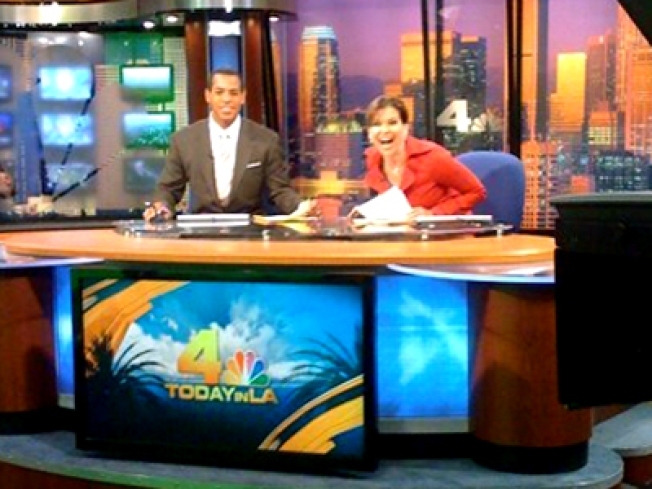 The story, called, "L.A. Newscasters Love the Chase," noted how chases are still a staple of L.A. newscasts and that "...even KNBC - which has been leading the charge to stop televising car chases - gave in and dumped its 11 p.m. newscast in order to showcase the chase. " It continues with another quote from the boss: "On rare occasions we'll make them a part of regular newscasts if it seems to rise to the level of legitimate news," said KNBC news director Bob Long, who's been vocal in the past on his dislike of televised chases. "This one smelled like it might. We got some information that turned out to be incorrect, that a person of some prominence was involved." Everyone thought, ooh, maybe it's Chris Brown running from the cops after he made bail! That's what everyone was putting their bets on, as they followed this chase and standoff to it's fruition, into the early morning hours. It's true, that chases get ratings. But my boss put it really well at the end of this Variety story. In essence, who cares about a little bump when you're looking for long-term equity with your viewers? "There are some people in our business who get a huge kick out of moving that needle," Long said. "But that's a meaningless number. It represents people who are in constant motion through the dial, who don't actually watch anything."